Jigsawing - a wonderful job on dark winter days and cold nights in the cosy living room. 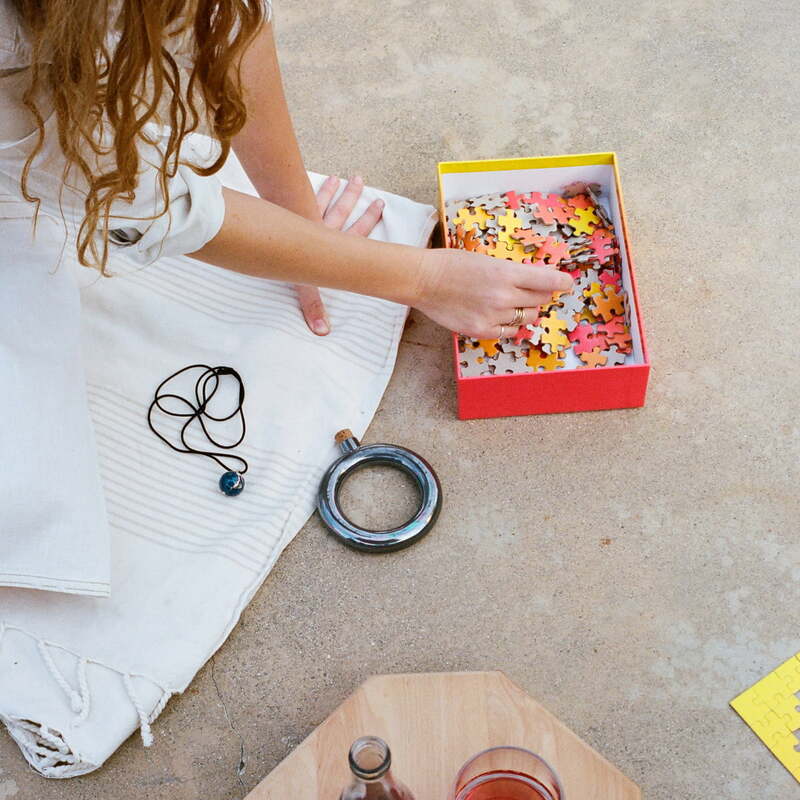 The exceptional design puzzle by Areaware brings colour into the darker hours and thus manages to combine the soothing, meditative activity of jigsawing with a special vivacity. 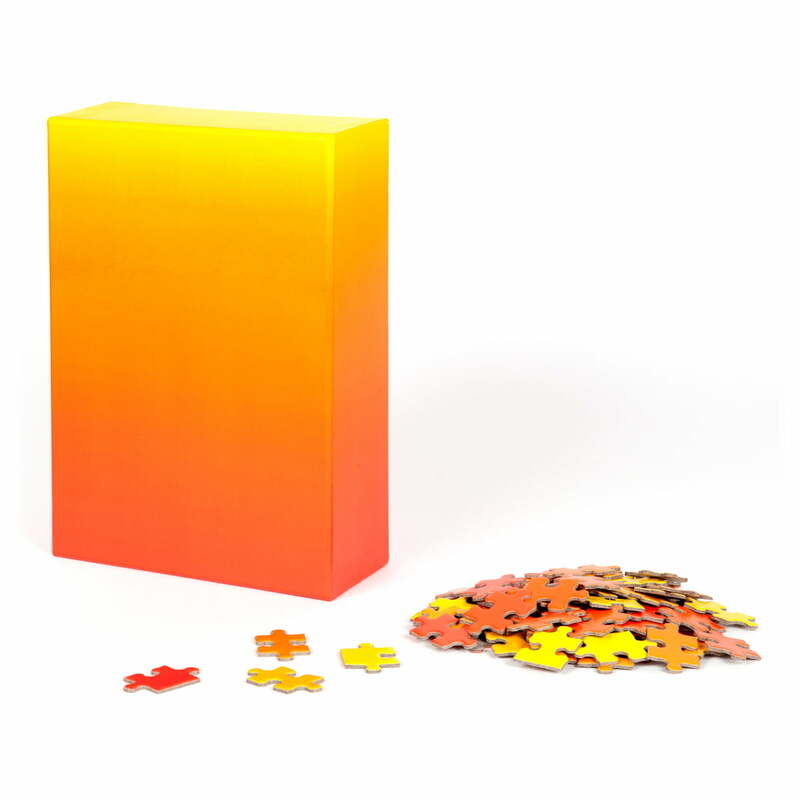 The gradient jigsaw puzzle was designed by the American graphic designer Bryce Wilner. 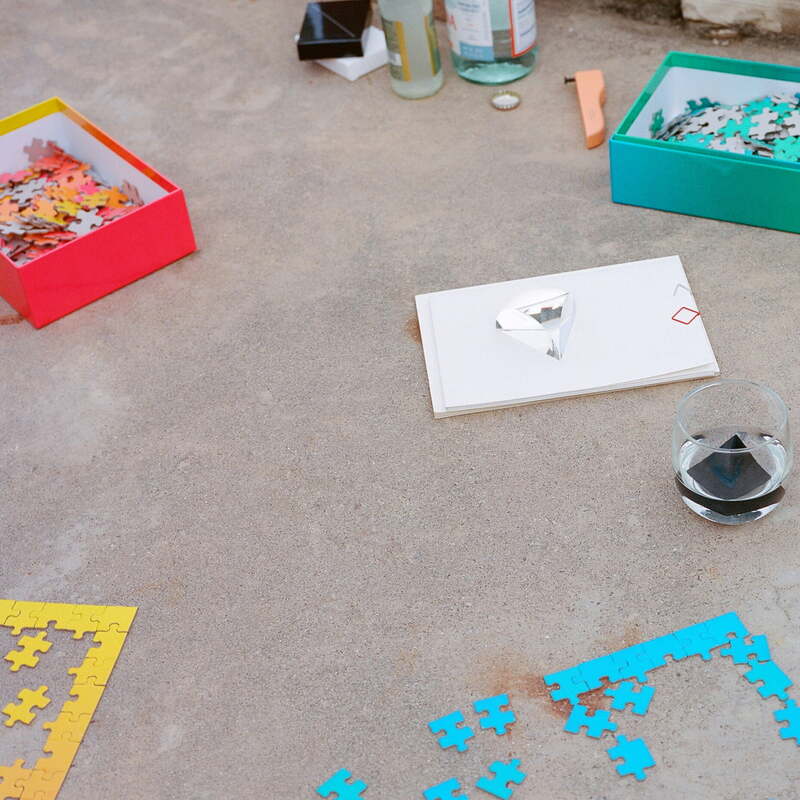 The designer built the puzzle with single pieces that belong together by their colour. The softly interflowing colours of the puzzles illustrate that there is no defined point on the chromatic scale, where a specific colour becomes another. That's why the puzzle can be considered as completed, if the 500 pieces lie unordered in the high-quality processed cardboard box, according to Bryce Wilner. 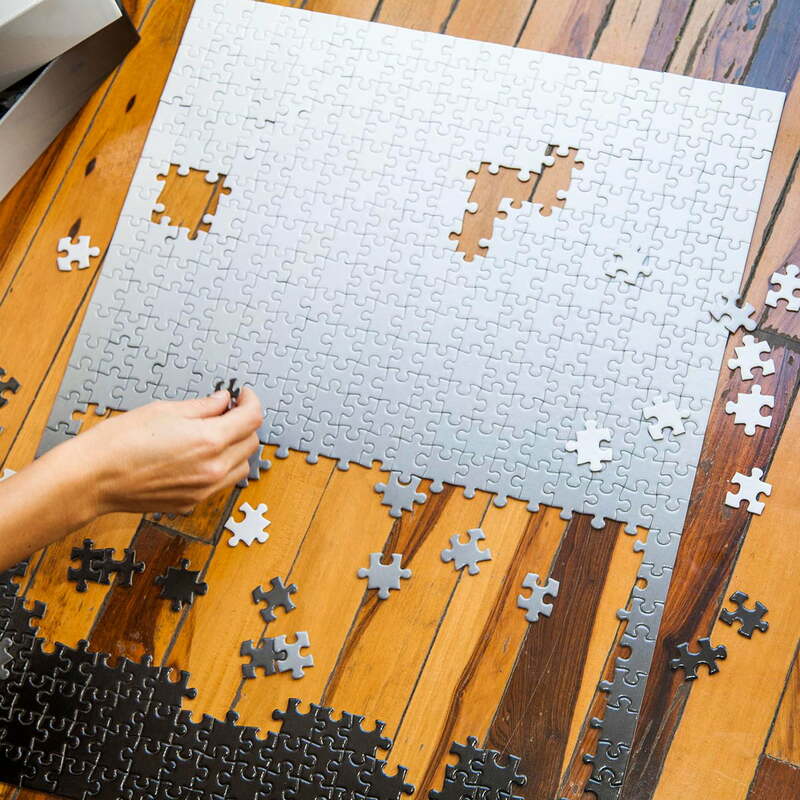 The cardboard material used for the puzzle is durable for it to be reassembled many times and taken apart, without losing its quality. Was attracted to the puzzle to try the challenge of it, but is harder because lots of pieces are poorly cut and some corners of the pieces are twisted. For the price expected far better quality. Hello Donald. I am very sorry to hear about your unfortunate experience with this puzzle. We strive to provide our customers with the highest-quality products which is why we will be forwarding your feedback to the manufacturer to ensure that the quality is improved in the future. In the meanwhile, please do not hesitate to contact our customer service regarding the poor-quality of your product. Best regards. 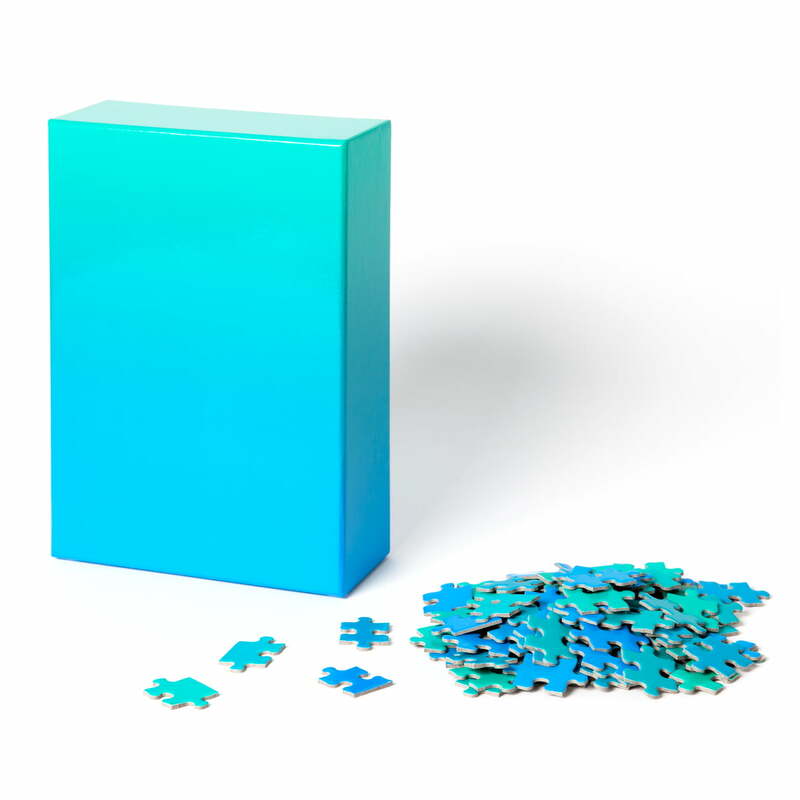 Individual image of the Gradient Puzzle by Areaware in the blue / green edition. The high-quality box contains the puzzle pieces, whose position you can only find through their colour. Individual image of the Gradient Puzzle by Areaware in the red / yellow edition. 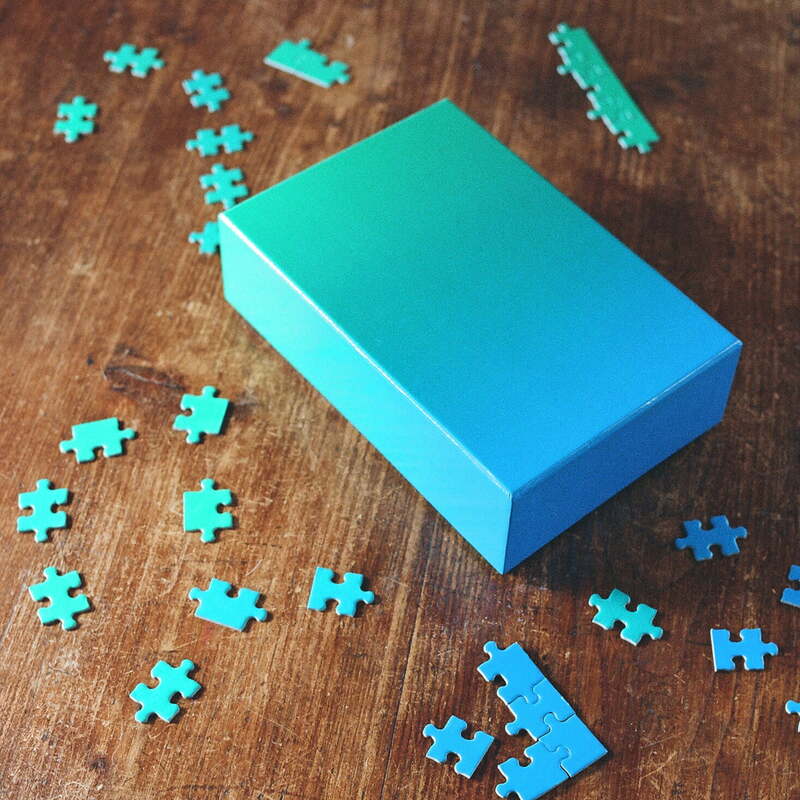 The high-quality box contains the puzzle pieces, whose position you can only find through their colour. The powerful colours of the Gradient Puzzle in blue / green by Areaware flow softly into each other. The puzzle is delivered in a high-quality box, which has the same gradient. 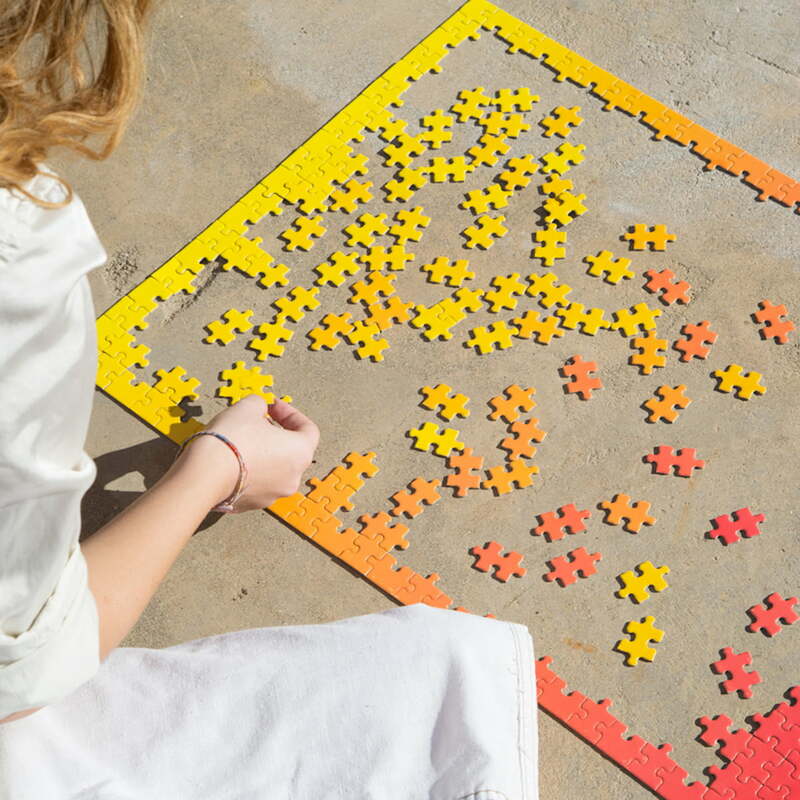 The position of the individual pieces in the Gradient Puzzle by Areaware in red / yellow can only be determined through their colour. The individual colours merge together softly. The Gradient Puzzle by Areaware in red / yellow brings lots of colour into the house on dark winter days and cold evenings, and provides very special vivacity. 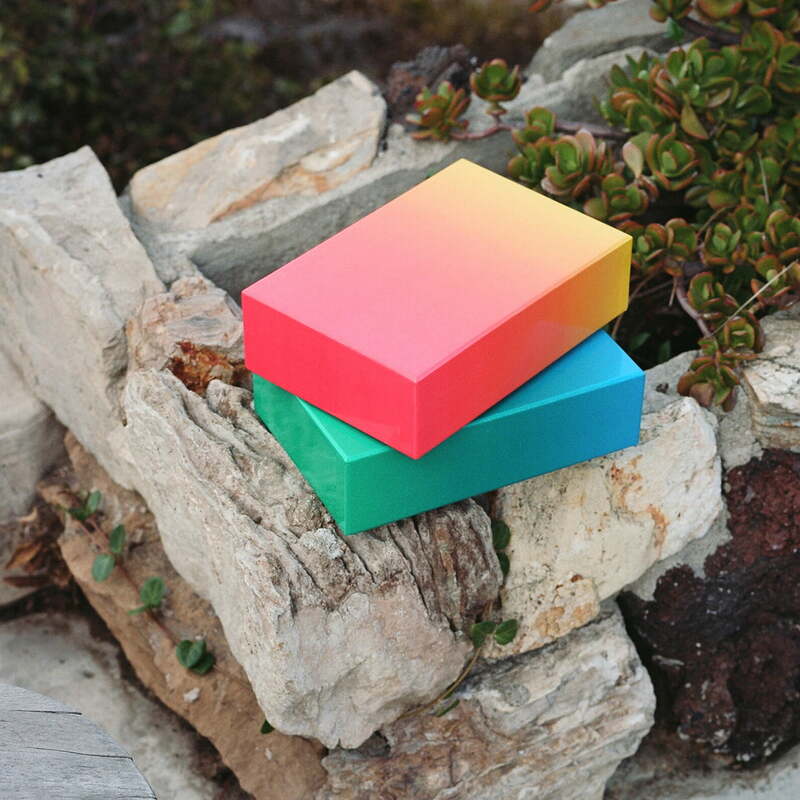 The Gradient Puzzle by Areaware is available in red / yellow and blue / green. It brings lots of colour into the house on dark winter days and cold evenings, and provides very special vivacity. The Gradient Puzzle by Areaware is available in red / yellow and blue / green. The bright colours, that flow softly into each other, convey a very special liveliness. 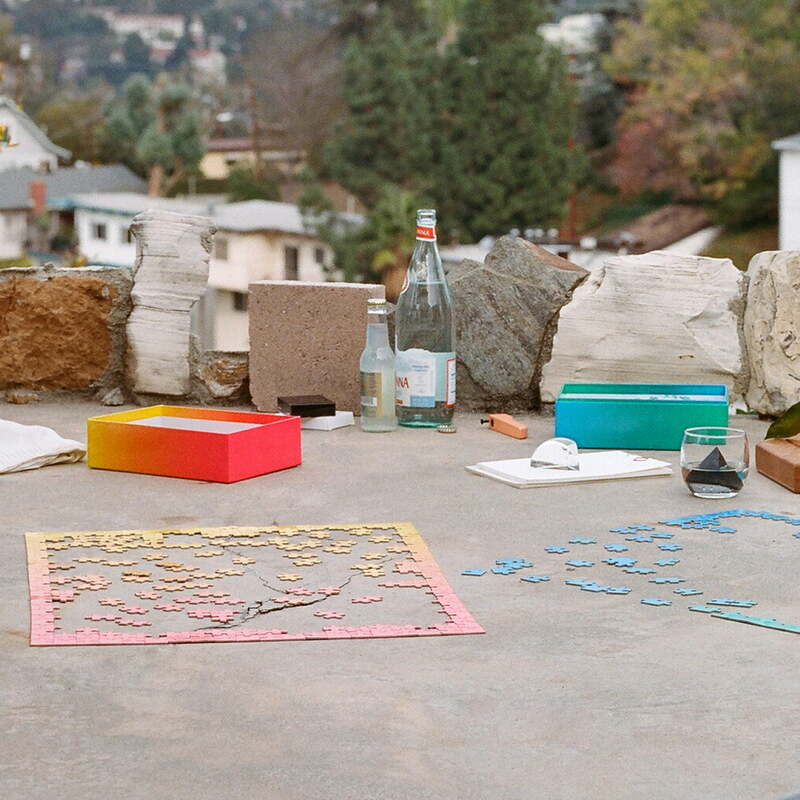 The powerful colours of the Gradient Puzzle by Areaware flow softly into each other. The puzzle is delivered in a high-quality box, which has the same gradient.